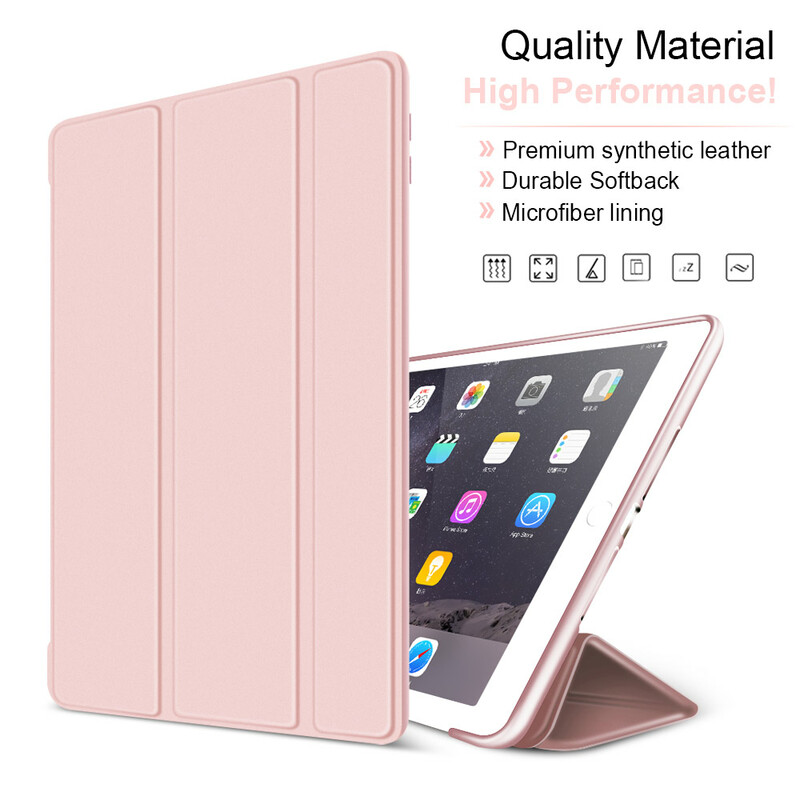 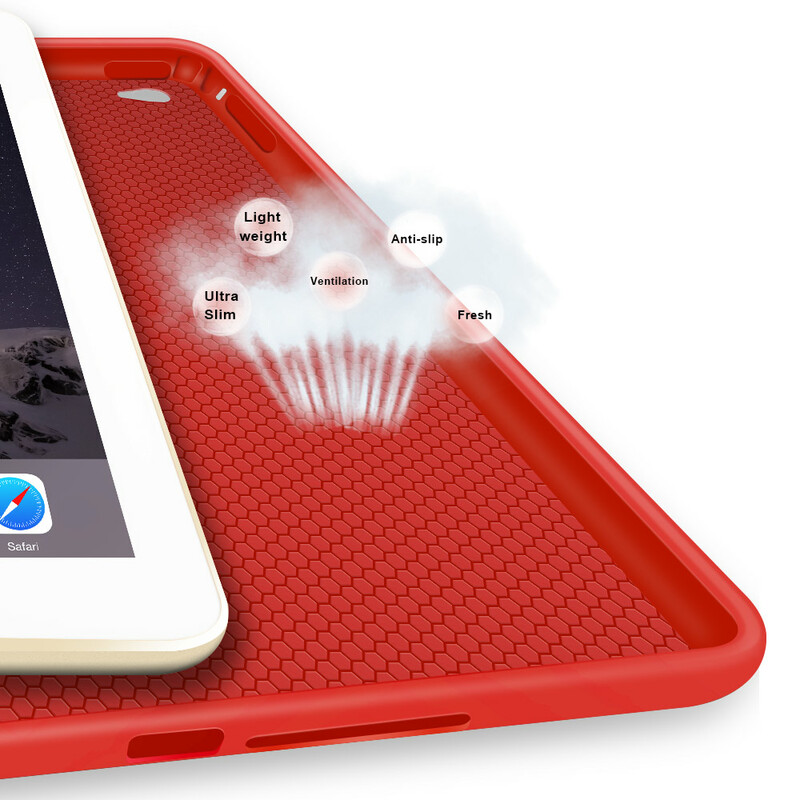 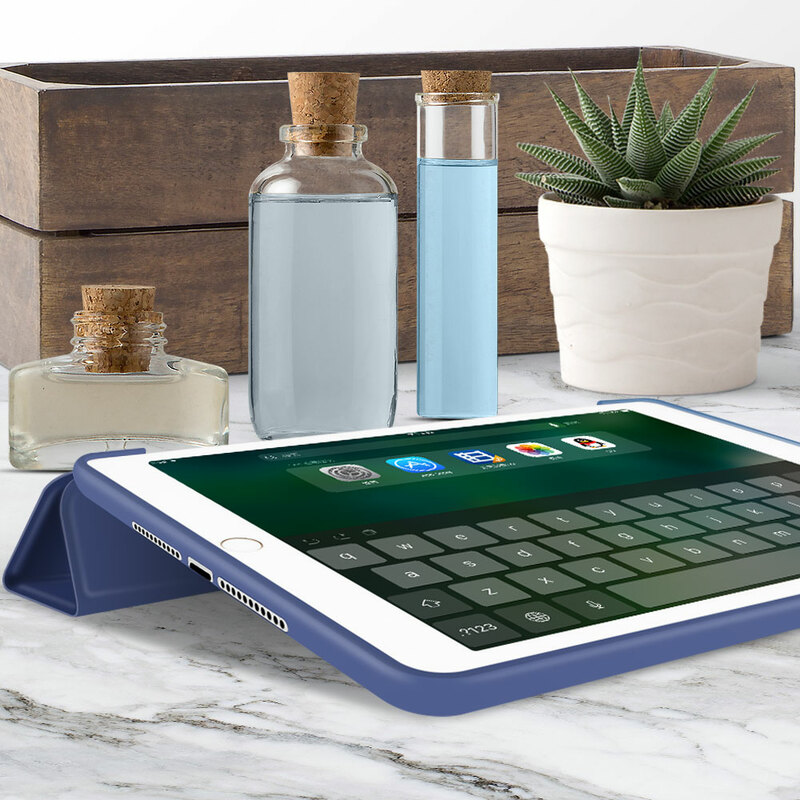 ​Ultra slim and lighweight case designed specifically for Apple iPad Air 2 Tablet Only. Fit For iPad Models: A1566/A1567.Please check back bottom of your ipad to find the model number.NOT compatible with other models. 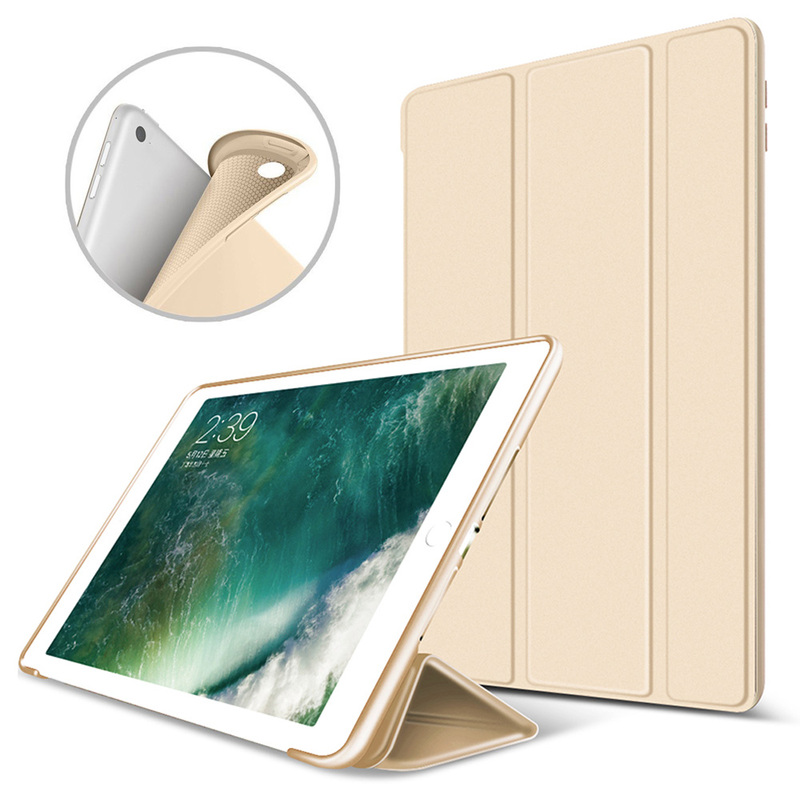 Premium synthenic leather exterior and soft, color-matched microfiber lining with soft flexible TPU back cover. 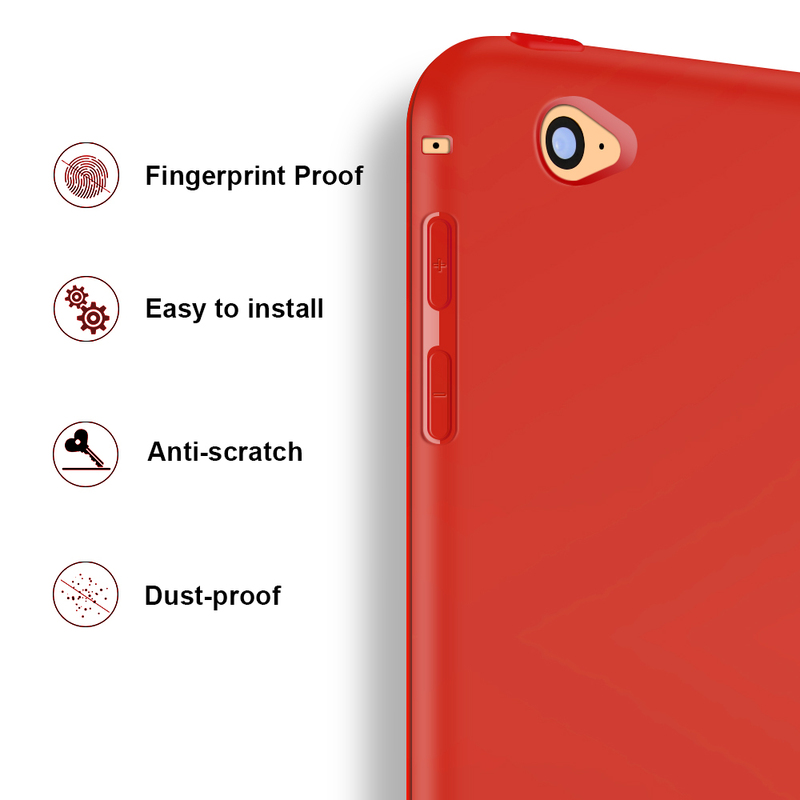 Smooth TPU material feels great and leaves no fingerprint or scratch. 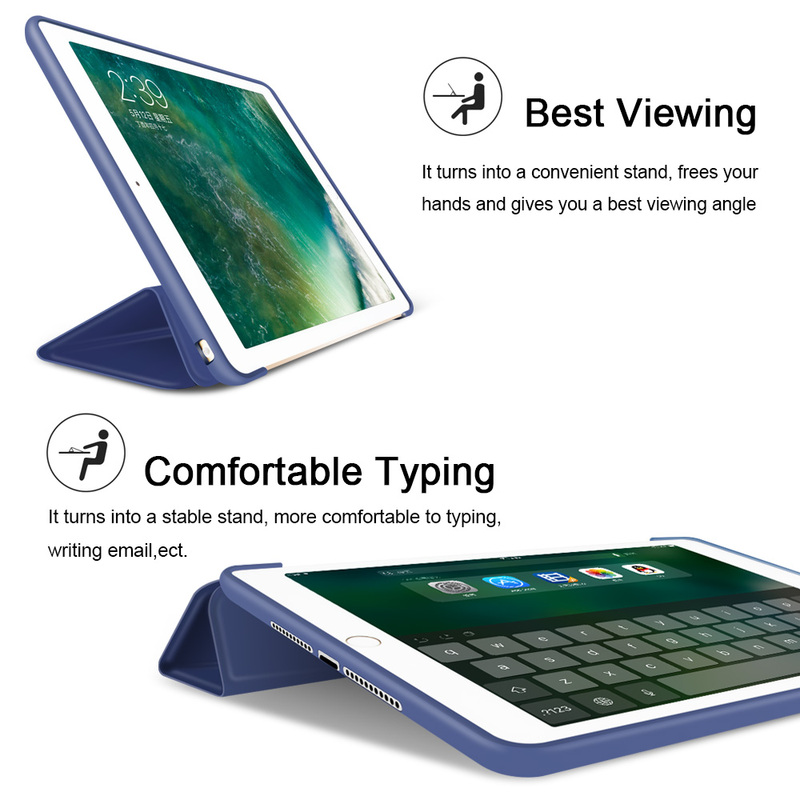 Tri-fold front cover with dual standing positions for factime,movie viewing and keyboard typing. 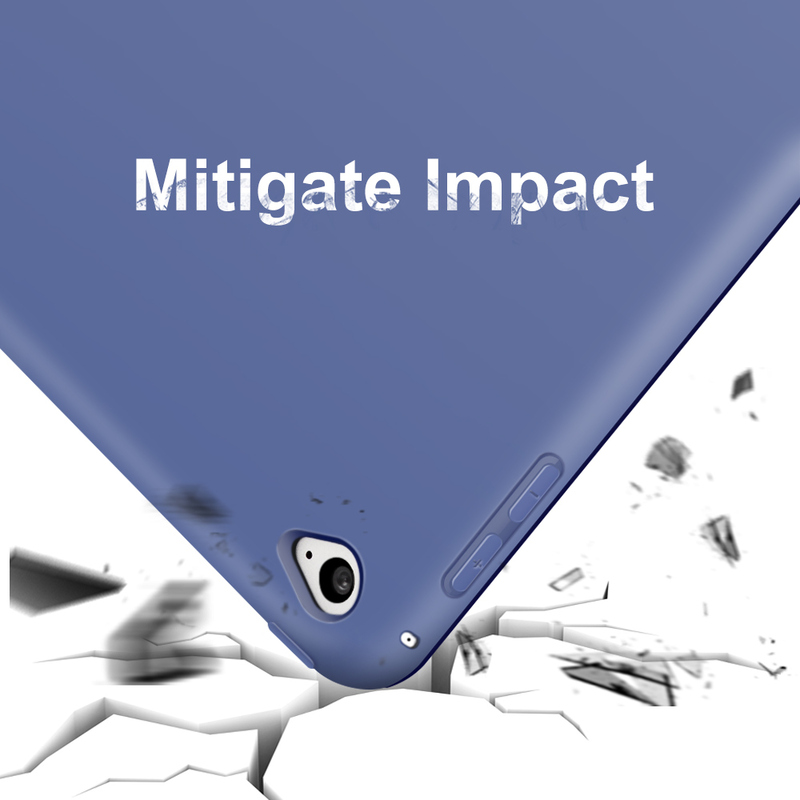 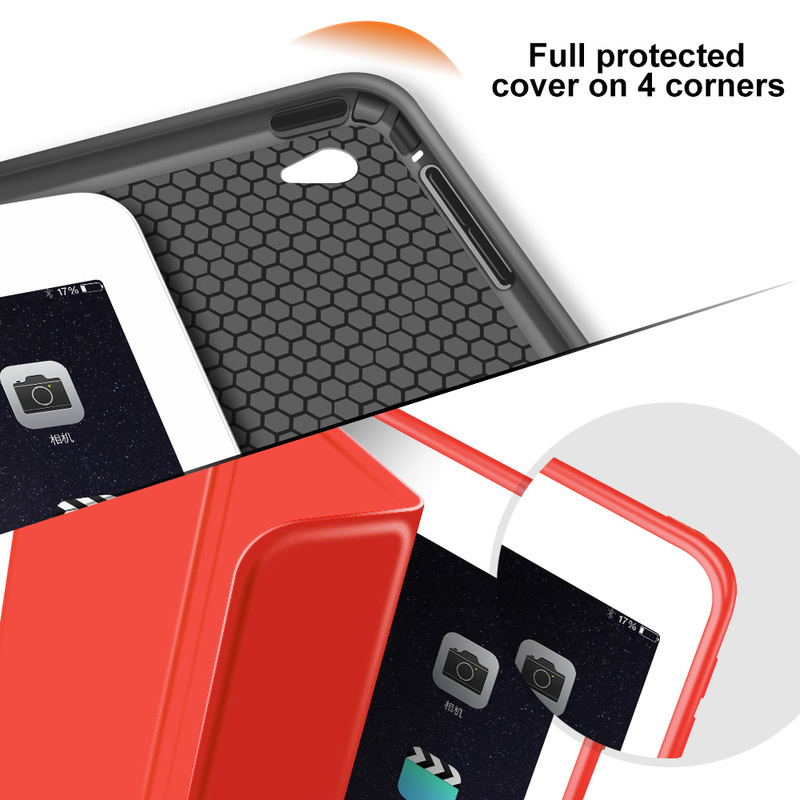 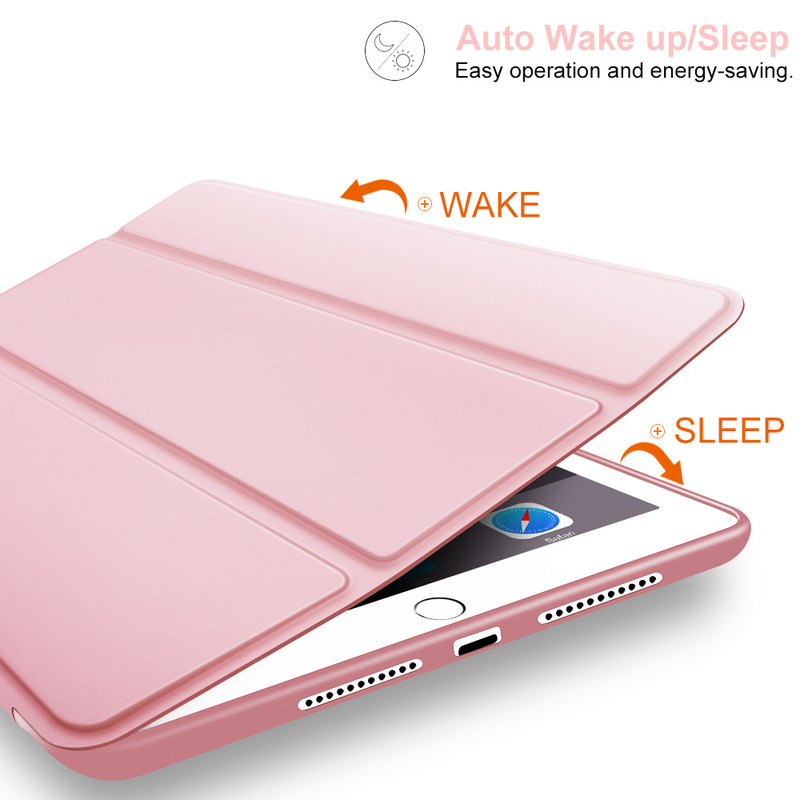 Magnetic smart cover supports fast response auto sleep/wake mode. 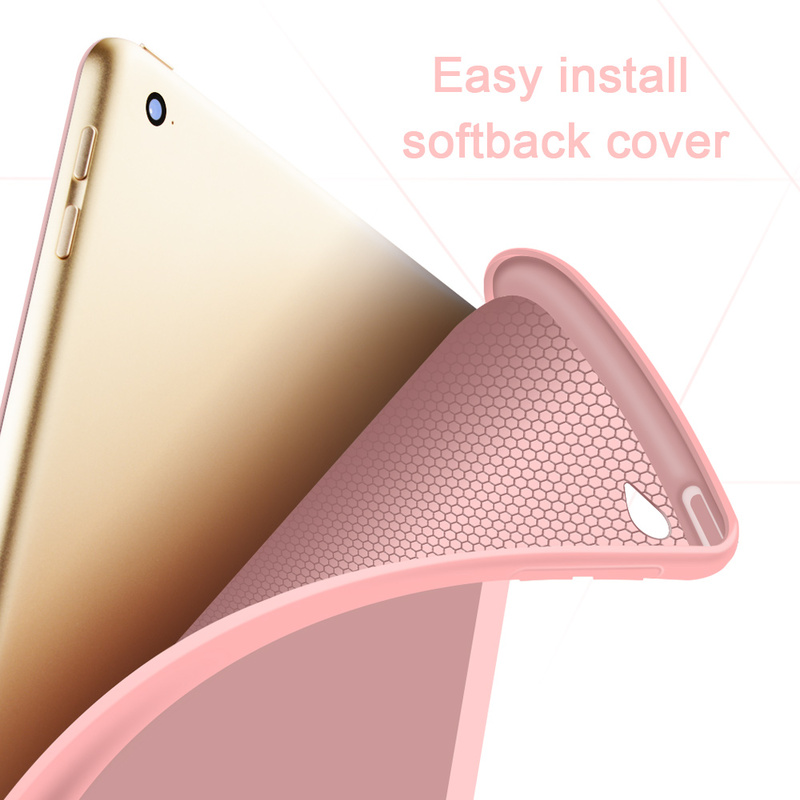 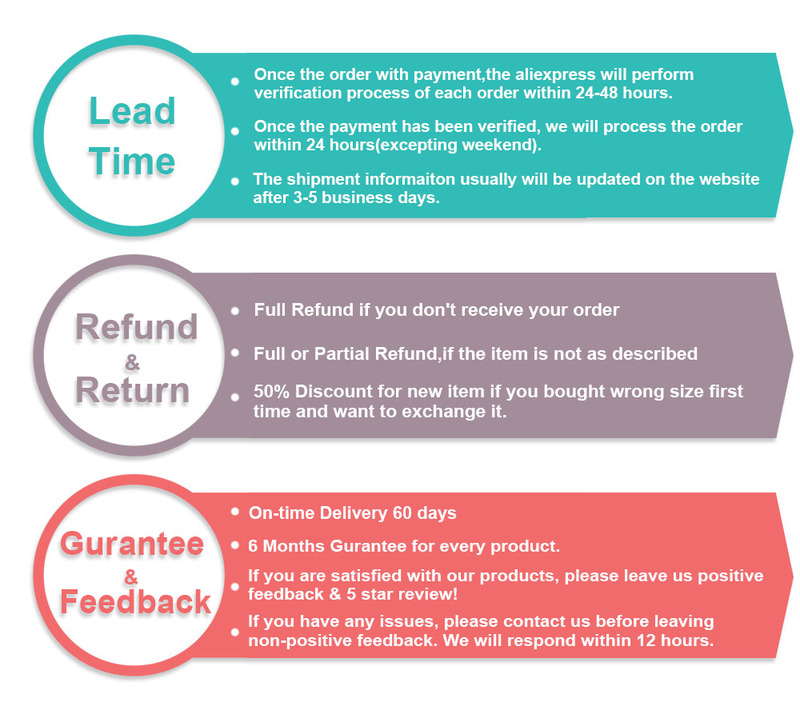 Air cushion technology and honeycomb pattern provide better shock absorb function and better thermal disssipation. 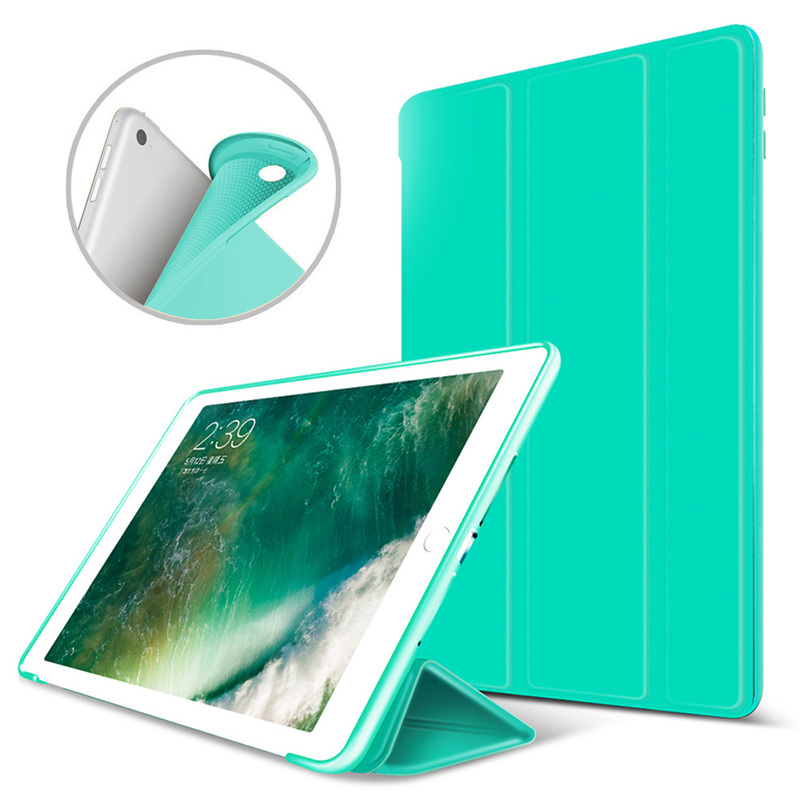 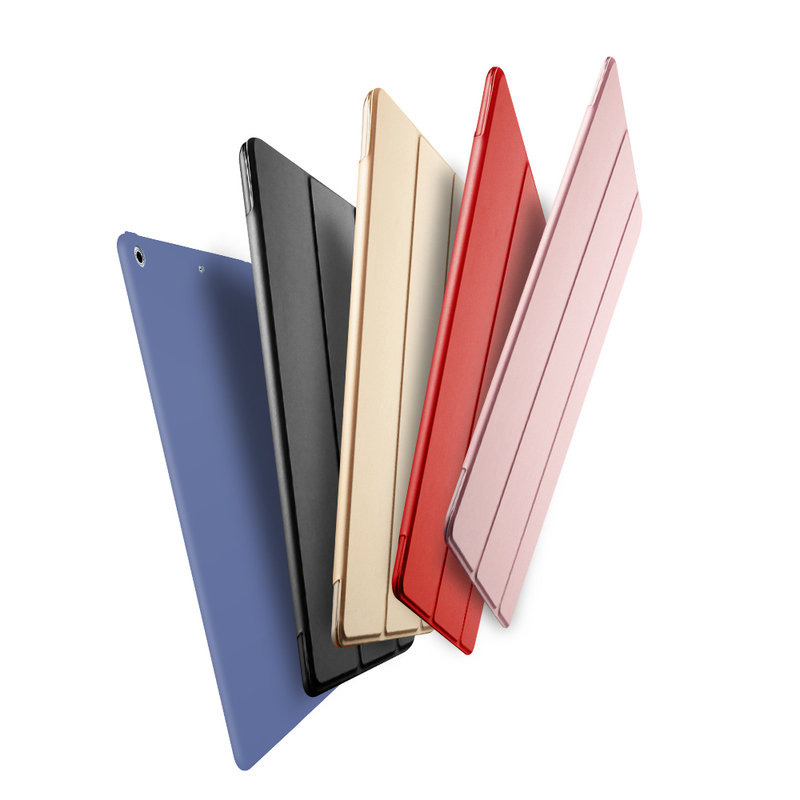 With soft flexible TPU back, you will never worry about leave scratches on your precious iPad. 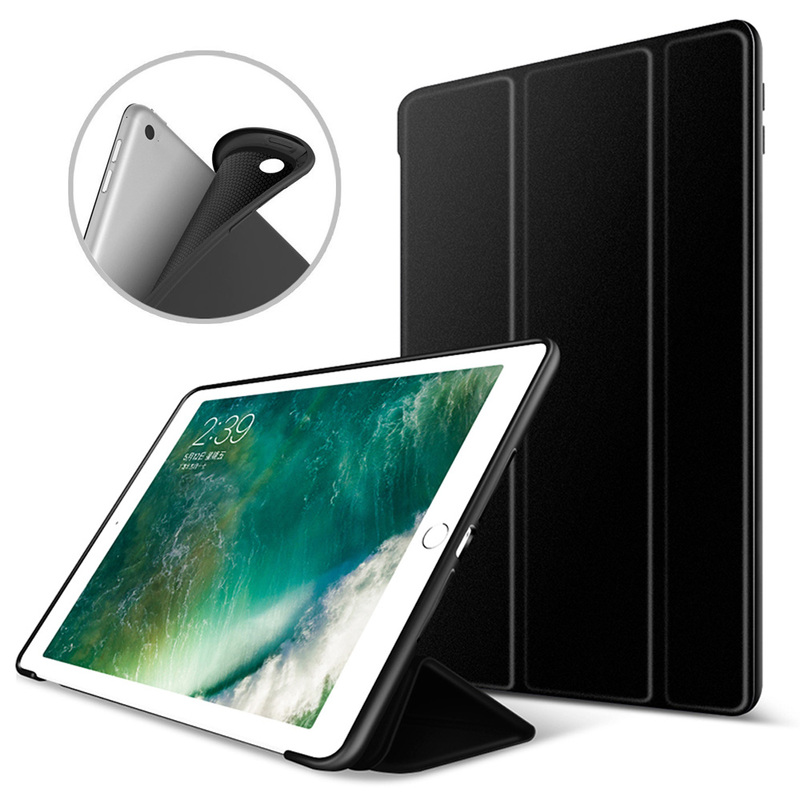 Precise cut outs and openings for iPad Air 2/iPad 6 with easy access to all tablet features.